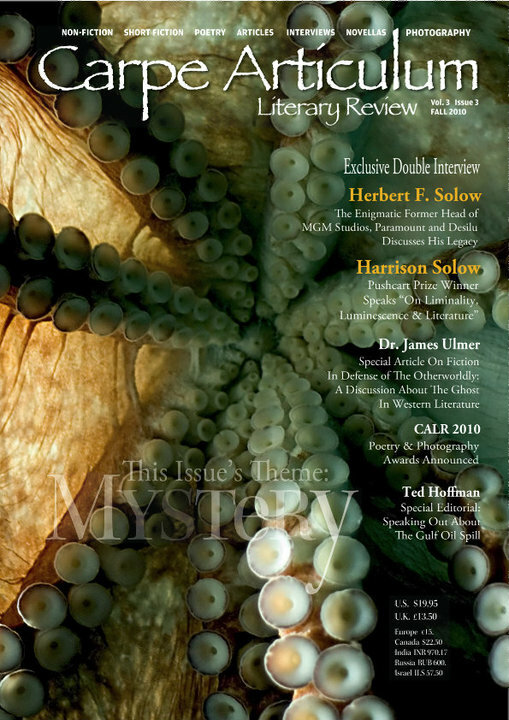 Posted on September 1, 2010, in News, Short Stories and tagged Barnes & Noble, Borders, Carpe Articulum Literary Review, Doors, Dr. James Ulmer, Harrison Solow, Herbert F. Solow, sea, Short Stories, Solow. Bookmark the permalink. Leave a comment.